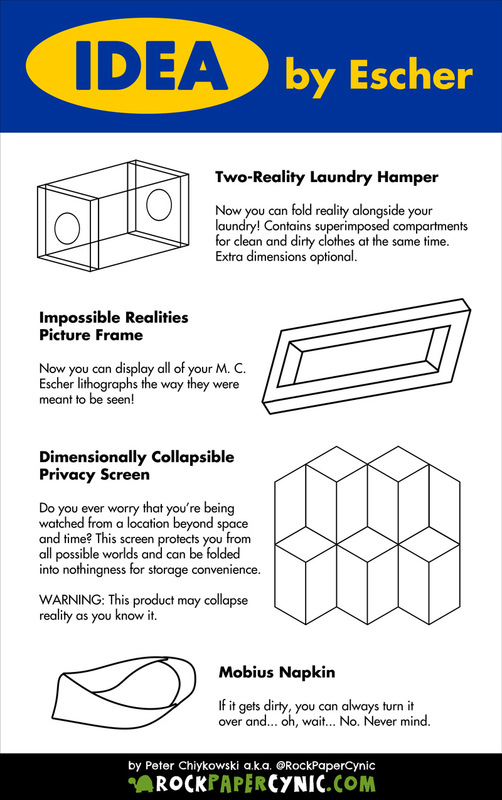 During a recent trip to IKEA, I thought, Man, it would be hilarious if Escher was an IKEA designer. After working on the logo and the first two designs, I thought, Man, this idea is so much fun somebody else probably did it already. Man, I hate it when I'm right. Anyway, this is my version!